Lighthearted, intensely feminine and unabashedly pretty, DKNY Be Delicious Fresh Blossom is a scent that is as powerfully uplifting as spring itself. A blend of sparkling grapefruit, cassis and sun kissed apricot meets a blooming floral heart of sheer muguet and pet ally rose, wrapped in luminous jasmine. Blonde woods and smooth skin accords finish the apple sensation. 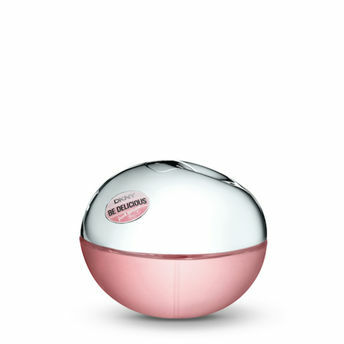 Alternatively, you can also find many more products from the DKNY Be Delicious Fresh Blossom Eau De Parfum range.